Done right, this Friday can be an opportunity to pick up some great Black Friday deals on tech kit you've been lusting after for a while; done wrong, it's a headache-inducing day of rushing around online and offline shops in complete bewilderment. We're here to make sure your experience is more like the former one. 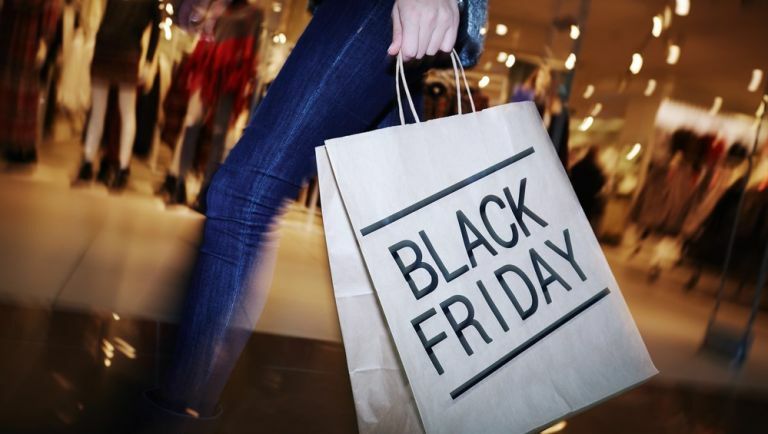 Whatever you're hoping to pick up - from a tablet for the kids to a new television set for the living room - there are smart ways of tackling the Black Friday madness using the apps, sites and tools at your disposal. Get out your credit card and let's dive in. It's a good idea to have a list of what you're looking for before the shopping frenzy actually starts - you don't have to stick to it, but it saves you running out of ideas or becoming paralysed with indecision. Many different desktop and mobile apps can help you in this task, including Evernote, OneNote, Google Keep and Apple's Notes, and all of those programs allow you to embed web links to the gadgets and gizmos in question too. You've probably developed a habit of ignoring all those promotional emails pushed out by Amazon, Debenhams, Urban Outfitters and everyone else during the course of the year, but on Black Friday they can actually come in handy: check your spam folder or run an inbox search to dig out the most recent messages. They can link you straight to the best offers on the relevant websites with no searching or clicking required. Breakfast can wait - you need to get yourself out to the shops at the earliest opportunity if you want to bag the best deals. Google has been crunching the data based on what it knows about retail store traffic and found that the high street is busiest between 2pm and 4pm on Black Friday: if you can get yourself out of bed earlier than normal or hit the shops during your lunch hour then do so. Is there anything smartphones can't do? Even if you're planning to do your Black Friday shopping on the actual physical high street (brave move), take your smartphone along with you and a selection of apps from the main retailers - that way, you can compare prices on what you find in store in an instant. If the games console you're looking at in John Lewis is actually cheaper in Argos, then you can buy it through your mobile. If you don't already use your web browser to store your site passwords and credit card details, now might be a good time to start. It saves you the hassle of remembering and typing out details at every single site you visit, and the seconds you get back could be the difference between bagging a deal or missing out on one. Check your browser's help section for details of how to get started. Bookmarks have been around almost as long as web browsers and are pretty old hat these days, but Black Friday is a good opportunity to dust them off again: you can save links to certain categories on certain sites for easy access in advance, or even to particular products on different sites that you want to compare. When the sales begin, this should make jumping between deals in separate browser tabs that much quicker. A lot of stores are going to put their best deals on Twitter and Facebook in a bid to pull in more social media followers - you might even come across some deals that aren't available through any other channels. Make sure you're following your favourite stores in advance of Black Friday and then watch the updates like a hawk (you could set up a Twitter list for the occasion to make sure you're not distracted by posts from friends and family). Another way you can get yourself prepared for Black Friday is to stock up on vouchers and discount codes: there are plenty of sites that can help you out here, though you should double-check the small print to make sure your coupons (printed or electronic) are still going to be valid on Black Friday amidst all the other discounts going on. There are even browser extensions you can install to do the same job. If you're going to be returning any products you buy on Black Friday for whatever reason then getting confirmation of your purchase is essential. Make sure you get an emailed receipt if you're shopping online, or keep your paper receipts in a safe place (you could even take a photo of them with your smartphone's camera if you like). These receipts should include links to the terms and conditions and the returns policies too. Where the crowds go the scammers usually follow, so the usual common sense rules apply: make sure your security software is right up to date, be wary of clicking on links that look like they could be suspicious (in emails or on social media) and look for the green padlock in your browser's address bar for sites where you're entering sensitive information (such as your credit card details). Happy shopping! Liked this? Don't forget to check out our guide to the best Black Friday deals.